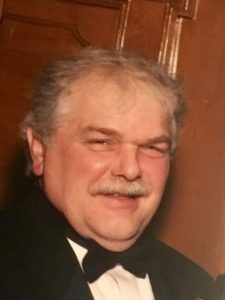 Ronald E. Hartman, Fleetwood, PA. | Morrell Funeral Home, Inc.
Ronald E. Hartman, Fleetwood, PA.
Ronald E. Hartman, 71, husband of Diane M. (Bales) Hartman, of Fleetwood, passed away on Saturday, December 1, 2018 in his residence. Born in Pottstown, he was a son of the late Harold Hartman and Grace (Christman) Herb and step-father, Thomas Herb, Jr. He was a 1966 graduate of Boyertown High School. Ronald was employed by the Pottstown Mercury for 35 years in the delivery department. He also worked for Great American Knitting Mills as a mechanic in the 1990’s. Mr. Hartman served in the Army during the Vietnam War. Surviving in addition to his wife are one son, Eric A. Hartman; one step-daughter, Angela Utley; two step-sons, Richard Ruppert and Kevin Ruppert; one foster daughter, Ashley Hartman; two grandchildren, Devin and Madison; seven step-grandchildren; two step-sisters, Donna Oswald and Lori Johnson and two step-brothers, Gary Herb and Joel Herb. Contributions may be made in his memory to VNA Hospice (www.hhcminc.orgberks-vna) or Relay for Life of Boyertown (www.relayforlife.orgpaboyertown).